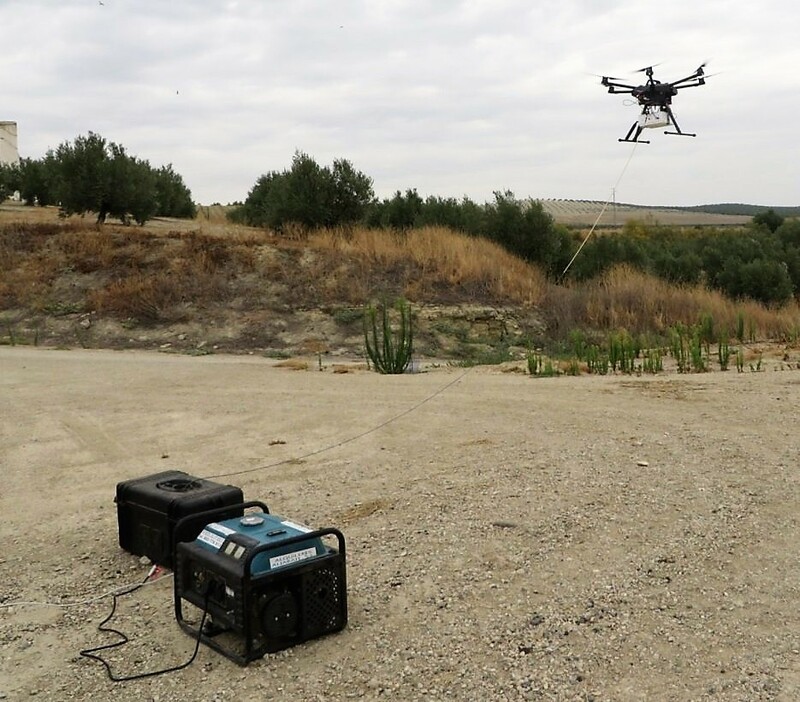 Andalucía, October 2017: Vodafone Group’s New Technologies and Innovation team experimented Elistair Tethered UAV station to supply 4G coverage in an area where there was none. A drone tethered to the Safe-T or Ligh-T station and equipped with a network device can fly for hours while offering coverage with no risk of interferences in the network or loss of the drone. 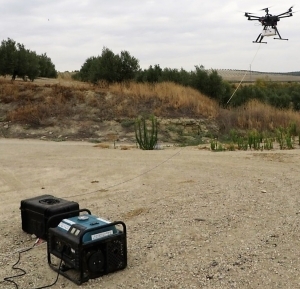 Vodafone Group’s New Technologies and Innovation team has been experimenting in an uncovered area of northern Andalucía with mobile relays mounted on Elistair Safe-T tethered UAV station. Thanks to its unlimited power supply, the drone stood up to 80 meters for periods of over a day with Vodafone CrowdCell, and delivered 4G coverage of up to 3 Megabits per seconds where before there was none. Another use in similar conditions can be to connect local users without the need to route the call through the main macro network and to offer video streaming for surveillance purposes. The Safe-T station is an industrial smart tethered UAV station, offering real-time semi-persistent flight capabilities thanks to its patented micro-tether. 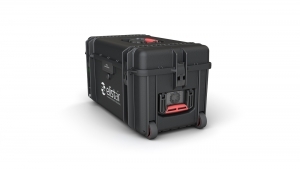 Offering the widest range of compatible drones and payloads on the market, the system is especially suited temporary Telecommunications (4G, Wi-Fi, radio), persistent Aerial Surveillance (Day and night), and industrial Inspections. Designed for the most demanding missions, Safe-T has been approved for tethered flights by an official rule-making body; the DGAC (French civil aviation), and has been successfully deployed by government bodies and industrial companies over 5 continents. Founded in 2014, Elistair is startup specializing in civilian drones. 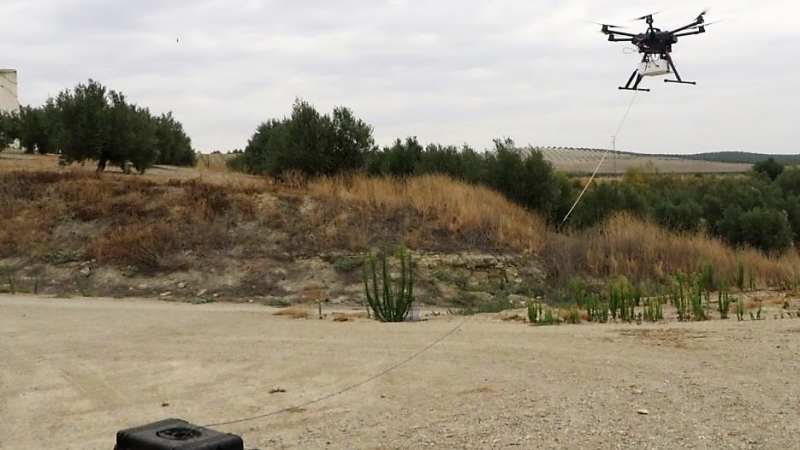 The company designs, produces, and commercializes tethered drone stations for civil security, intervention teams, security companies, and large industrial companies. Leveraging a patented micro-wire technology, the solutions developed by Elistair are deployed for long duration aerial observation missions and emergency telecommunications missions. The company currently sells its products in Europe, South America, and Asia. Elistair organized itself and grew quickly, and is now one of the leading tethered drone companies in France, currently expanding internationally. With support from Drone Invest, an American investment fund, Elistair won the Alliance competition in San Francisco, and was selected by the European Horizon 2020 program. French Police uses Elistair tethered drone For security at the Bordeaux Arena. Authorities choose the Orion drone for security of the Ryder Cup 2018.